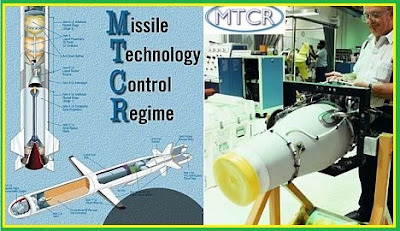 India has become the 35th country to gain membership into the Missile Technology Control Regime (MTCR) which sets guidelines to control the production and delivery of missiles and unmanned aerial vehicles capable of mass destruction. MTCR membership will now enable India to buy high-end missile technology and also enhance its joint ventures with Russia. The group was established in April 1987 by the G-7 countries. The aim of the MTCR is to restrict the proliferation of missiles, complete rocket systems, unmanned air vehicles and related technology forthose systems capable of carrying a 500 kilograms payload for at least 300 kilometres, as well as systems intended for the delivery of weapons of mass destruction. China is still not the member of the MTCR and has been trying for a decade to get in the exclusive club. India now will be able to buy high-end missile technology and can enhance its joint ventures with Russia. India has formally joined the Missile Technology Control Regime (MTCR). Foreign Secretary S. Jaishankar received MTCR membership papers from Envoys of France, Netherlands and Luxembourg at the south block.